The Santos 28 juicer is a high output industrial juicer ideal for hotels, bars, restaurants, juice bars and cafeterias, gymnasiums and any establishment requiring fresh juice in high demand. Powered by a 1300 watt heavy duty and quiet asynchronous motor, the continuous juice extraction is facilitated by a centrifugal action and an automatic pulp ejection system. This gives the Santos 28 commercial juicer a high output of approximately 2 litres per minute. 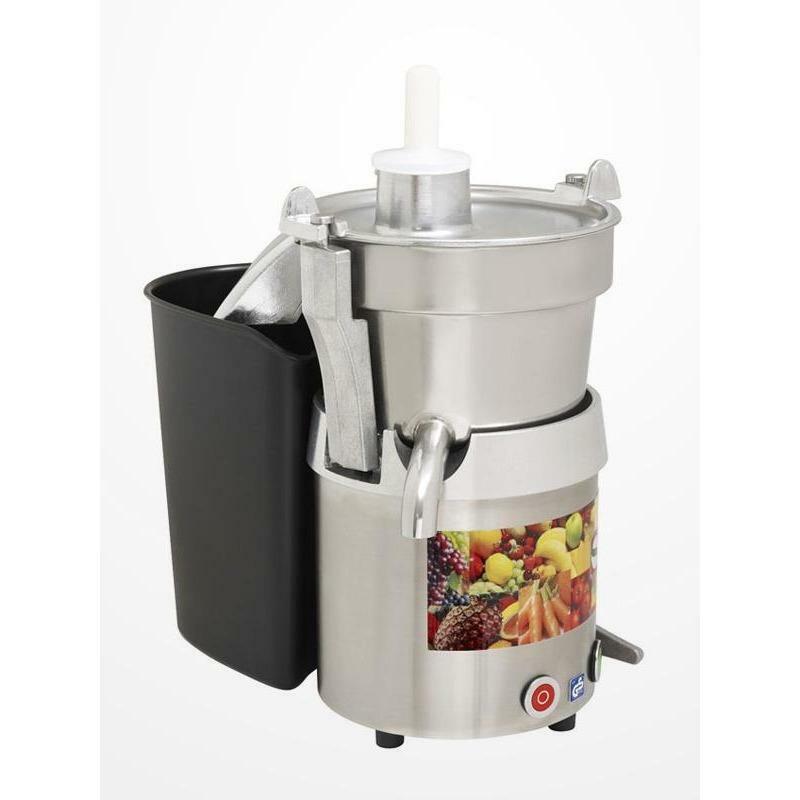 Robust and very well-constructed components made of cast aluminium, engineered plastic and 18/10 stainless steel, this juice extractor is particularly suitable for extracting juice and making coulis and thick juices from fruits or vegetables. 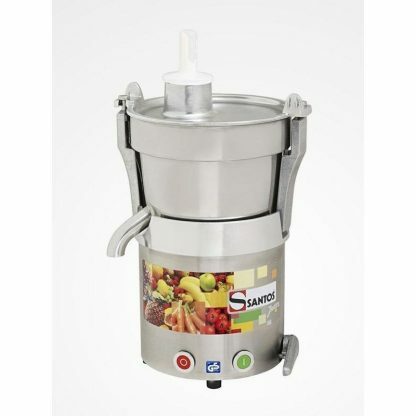 The Santos 28 commercial juicer is perfect for high output requirements, the juice literally pours from the juicer. 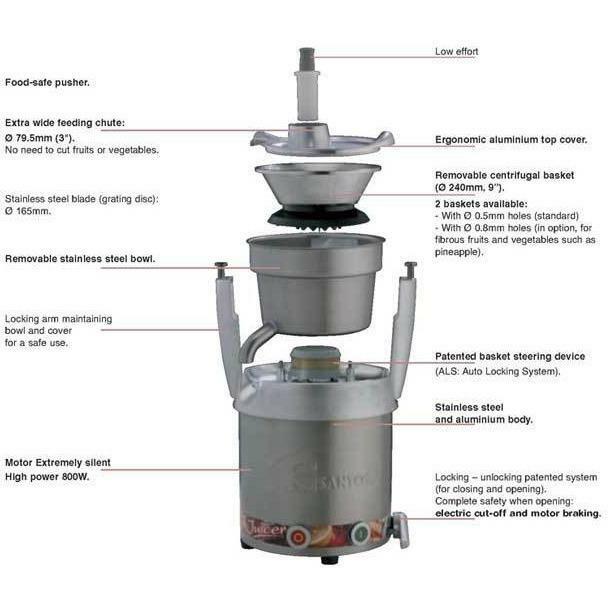 The centrifugal basket is easily removable without tools and is made from micro perforated stainless steel with 0.5mm diameter holes; it has a wide feeding chute of 79mm which is again useful for high volume use as less preparation of produce is involved. 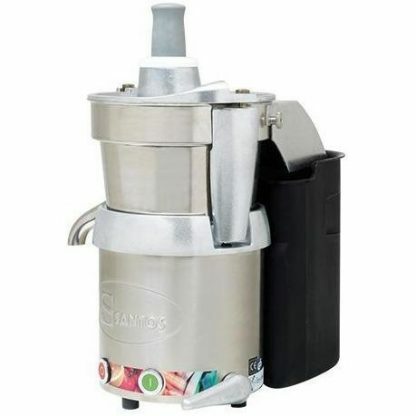 Safety features include a locking and unlocking system to secure the top part of the juicer, automatic motor braking when engine is stopped, automatic shut-off when motor overheats. 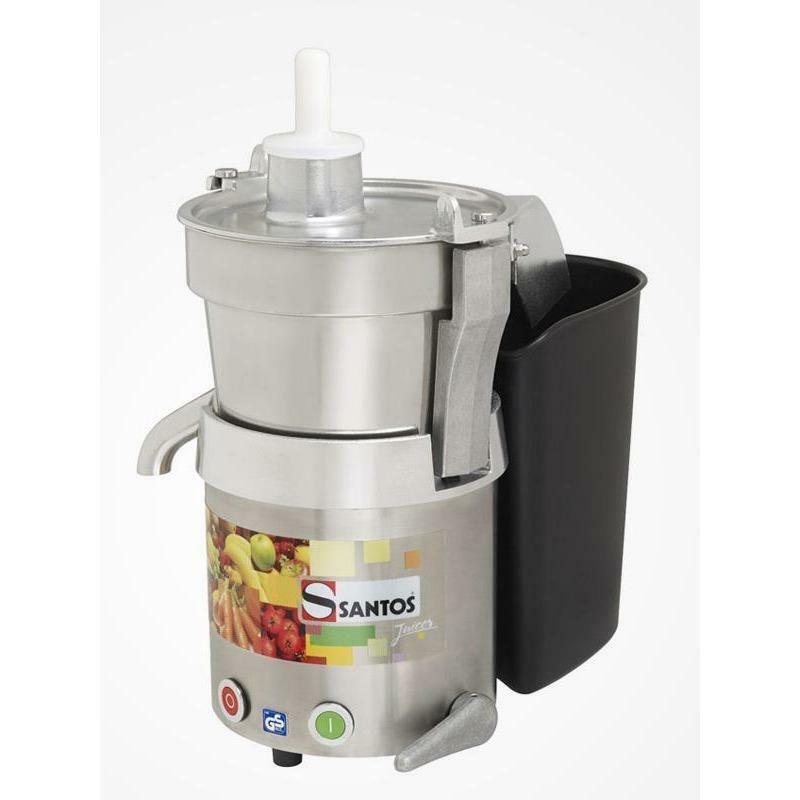 The Santos 28 (aka Miracle Pro MJ800) Commercial-Quality High Output Centrifugal Juice Extractor produces one quart of juice in just one minute. 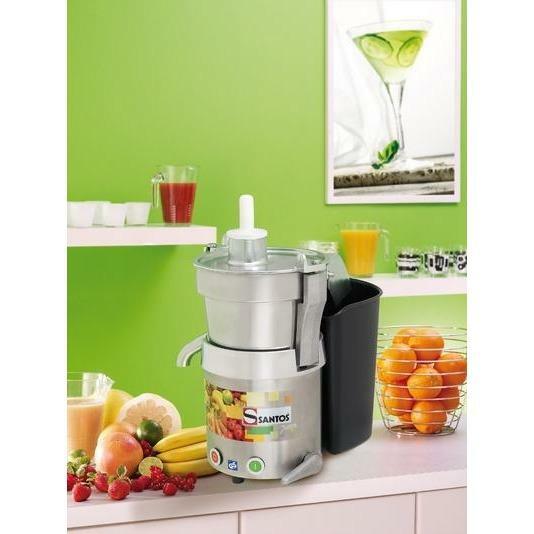 The Santos 28 is designed for hotels, bars, restaurants, cafeterias, cocktail bars, institutions, hospitals, health food stores, juice bars, ice cream shops – anywhere fresh juice is served! 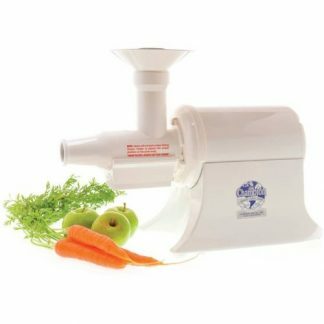 This machine can be used for a large variety of fruits and vegetables.